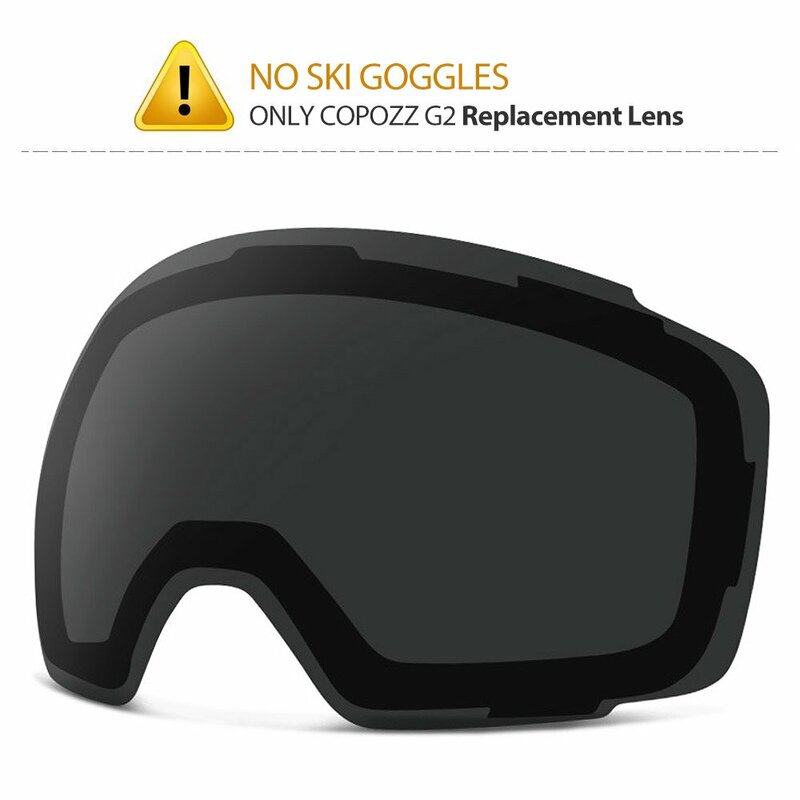 ❤【Two Seconds Quick-Changing Lens】 10 pairs strong magnets around the ski goggles frame which are stable and firm. Easy and fast lens switching. Changing lens can be cool and easy. 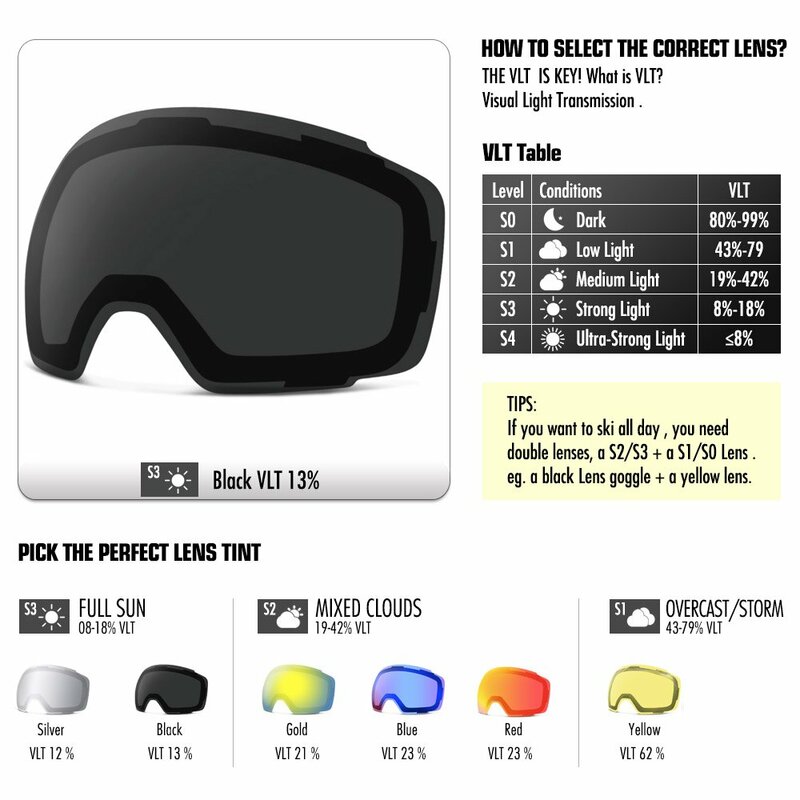 No more struggling to get the lens swapped for different light conditions during skiing and snowboarding. ❤【Imported Dual Layer Lenses】 Imported cool mirror coating reflective ski goggles lens from Italy with pro long-lasting anti fog materials, dual layer Revo lenses offer you 100% UV protection and protect your eyes from strong light. Great optical clarity large spherical lens with frameless design provides a truly unobstructed & clear view. 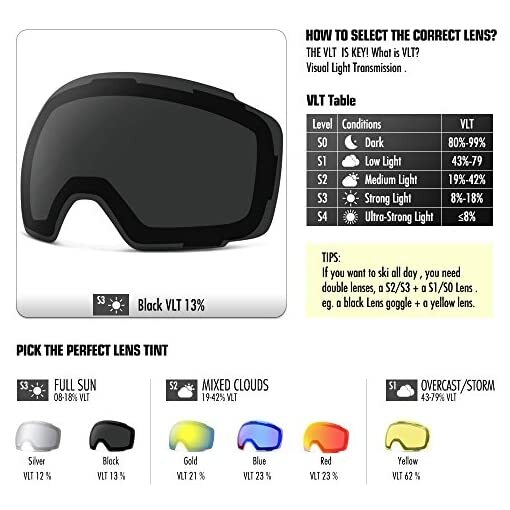 ❤【OTG And Helmet Compatible】 OTG (Over the glasses) – OTG design allows you wear your glasses under these ski goggles . Fit your glasses up to 5.7inch wide ,1.65inch tall. Universal helmet compatibility – extra long and wide high density elastic strap. Compatible with any helmets. Silicone anti-slip strips on the back make sure your ski goggles stay in place. ❤【High Quality and Tech Combo】 Premium FDA & CE approved TPU frame. Triple-layer high density , soft sponge makes it comfortable to wear. Revo mirror coated lenses with two layers inner lenses thus CPAC pro anti-fogging coating. Smart optimized venting system enhance air-flow and reduce fogging. 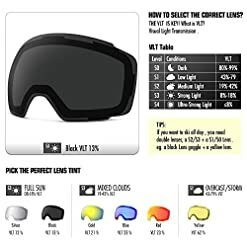 ❤【Various Lenses Choices】 We also sell different ski goggles lenses for different light conditions, if you want to ski from day to night, it’s better that you got two lenses to switch. Ski goggles with 30 days money back guarantee. 1 year warranty. 100% satisfaction guarantee. Professional and fast-response customer service (within 24 hours).